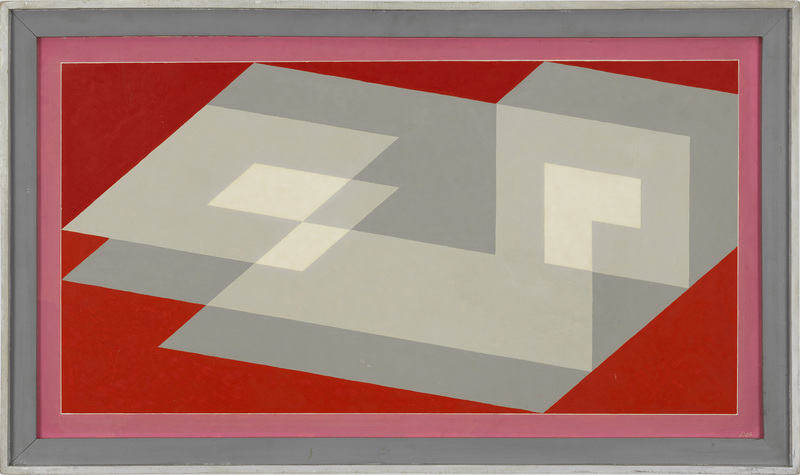 Josef Albers (1888-1976), « Tenayuca », 1943. Huile sur masonite. Dim. : 57,15 x 110,49 cm. Coll. SFMOMA. Purchase (1984) with the aid of funds from Mr. and Mrs. Richard N. Goldman and Madeleine Haas Russell. © The Josef and Anni Albers Foundation/Artists Rights Society (ARS), New York.